Apple iPhone 6 is probably one of the worst kept secrets in the tech industry with the device appearing on numerous occasions. 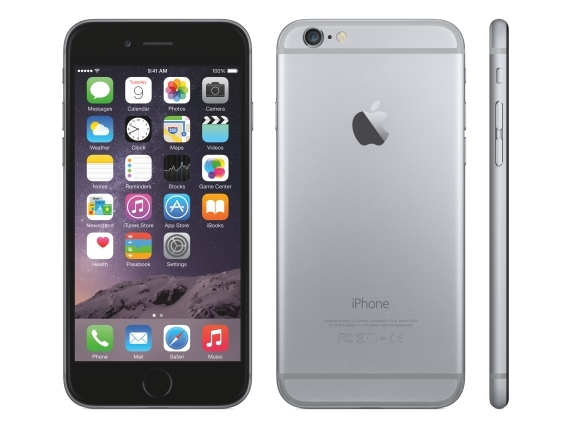 Finally, today, Apple has officially unveiled its latest flagship smartphone – the iPhone 6. From the outset, the newest iPhone looks very similar to the previous generation with the front being a bit stretched out. The screen size has been bumped to 4.7-inches. It has an even thinner profile of 7mm and astonishingly it still weights just about 113 grams. The large display panel also means that there’s now space for a sixth row of apps in the user interface. The display panel comes with a resolution of 1134 x 750 pixels. Back of the iPhone 6 consists of a full metal finish panel with the stripes running from top and bottom for antennas. The sides of the smartphone are a bit curvy, which is quite different from previous four generations and the buttons are now a part of the body. The new size also meant that the company had to work around the position of some of the hardware keys on the phone. The power button on the iPhone 6 has been relocated and is now placed on the right side of the device. As usual, the volume rockers and the ringtone switch key are on the left. There are some significant changes under the hood with the latest generation iPhone featuring a new processor, which according to the company packs a punch. 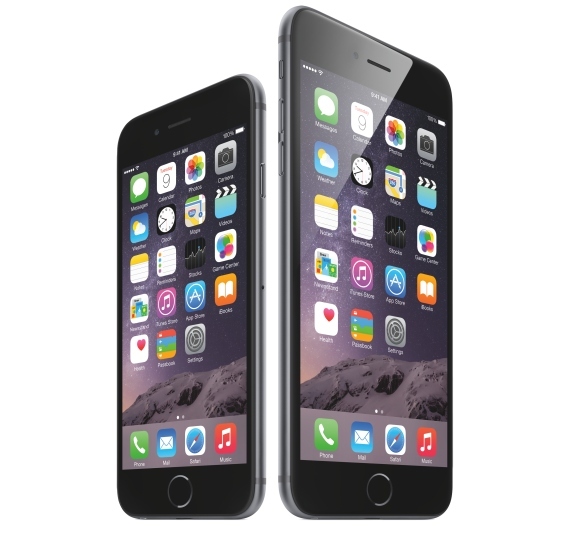 Apple iPhone 6 comes with a re-engineered new chipset that is dubbed – A8. Just like A7, the A8 is also based on 64-bit architecture and is built on a power efficient 20nm process, which according to the company is about 20 times faster than the original iPhone with the graphics being up to 50 faster. Apple’s latest innovation houses a dual-core CPU, running at 1.2GHz. 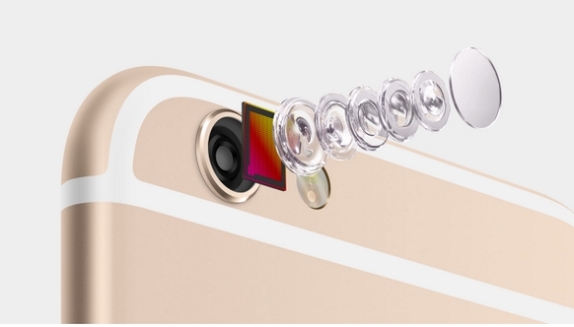 The new camera module on the Apple iPhone 6 has a wider f/2.2 aperture and a larger 1.5 micron pixel sensor. However, it is still an 8 megapixel sensor and Apple is calling it iSight camera. The larger surface also results in larger pixels and with a larger sensor, the Cupertino giant has managed to lower image noise in low-light conditions and in turn improve the overall dynamic range in high contrast conditions. The camera features phase detection autofocus and unfortunately, there’s no Optical Image Stabilization. iPhone 6’s camera can shoot panoramas up to 43 megapixel and is capable of capturing videos at 1080 pixels. You can also record Slo-mo videos at 120fps and 240fps, but that comes to you at a cost of higher resolution. The dual LED flash, which was called as True Tone in iPhone 5s has been retained on the newest variant. If you are wondering how this piece of hardware does then, you might want to know that the flash contains two LEDs with different color temperature. And, this in turn helps you achieve more accurate color tone. Connectivity options include VoLTE (Voice Over LTE) and Wi-Fi calling for T-Mobile in the United States and EE in the United Kingdom. Apple has enhanced its LTE radios in its newest chip and it now supports up to 150Mbps downlink along with 20 bands. The smartphone also comes with Wi-Fi 802.11ac among other options. Apple’s latest iPhone now supports NFC connectivity. Apple iPhone 6 comes with a touch sensor that is known as TouchID – embedded into the home button. The sensor is hidden behind a sapphire crystal lens and there’s a metallic ring that detects the finger to activate the sensor. The enhanced service supports for multiple fingerprints and offers high security for purchases from iTunes. The iPhone 6 comes out of the box with iOS 8 operating system and packs a 1,810mAh battery, which according to the company offers 14 hours of 3G talk time, up to 250 hours of standby and up to 50 hours of music playback. 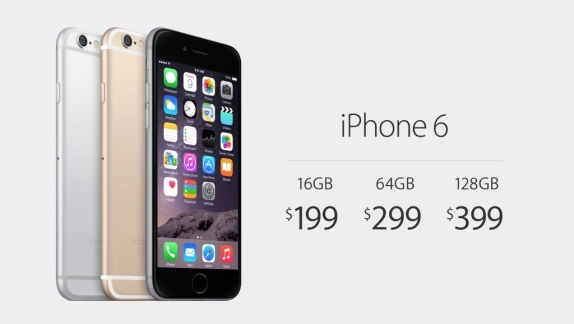 Apple will be selling its latest product in three color options – Space Grey, Gold and Silver. In the United States, the 16GB version will cost you $199, while the 64GB variant and the 128GB model is priced at $299 and $399 respectively on contract. The newest iPhone will launch on September 19 in the United States and Apple will expand the availability to 115 countries by the end of the year. And, the pre-order starts on September 12.